Working in construction is among the most dangerous job paths. If you looked at the 2015 list of most dangerous professions, construction laborers rank high up the list. But if you combine all: mining, electrical, maintenance and other related jobs – as they all essentially are construction and building work – this type of careers will be the most deadly of all. Heights, heavy construction machinery and other factors make it a high risk environment. Even though the equipment used at work is designed to be operated in such environments, most personal smartphones are not. I have learnt this from experience as my dad has now been in construction business for the last five years and he’s changed eight or nine phones in that time and his phones were seeing repair shops regularly. At the time, when he just started we were not even aware of existence of rugged phones for construction works, which would have made his days easier and his wallet certainly fuller. His last two phones qualified as rugged smartphones, but only the last one served him the full 2 years – so having it labelled rugged or indestructible phone for construction does not necessarily mean that it is a good or durable phone. Before you decide that it is a mission impossible, have a look at the guide criteria below which determine a good smartphone for construction works. What to look for in the best smartphone for construction? Let’s quickly look at the main criteria and what to look in each of those categories which will help to determine whether the smartphone offered is suitable for construction environment. The points mentioned above are absolute essentials, you could additionally consider design and extra features such as fingerprint scanners, OTC, battery size and others which will make it more attractive and smart. How to determine which smartphone is the most durable? You can trust those sound marketing slogans seen on campaign posters and ads, however there is something more substantial available to be used as a guidance on smartphone invincibility. Those are Ingress Protection rating and Military Standard. Let’s look in both of them in turn. Ingress Protection or IP is a protection marking that classifies products and gives a rating as of what degree of protection they provide against external factors such as intrusion of hard objects, dust and contact with water. Reading the rating is very easy as it always is presented in a form of “IPxx” where x represents a digit. First digit indicates the protection equipment has against solid foreign bodies and parts in contact. Maximum available protection here is 6, which means that your smart device for construction is completely dust-proof. This is what you ideally want in a good smartphone for building works. Second digit indicates the protection level of intrusion by various types of moisture and liquids. Depending on the level your smartphone could be resistant to dripping water, sprinkles, partial or complete submersion for even extended period of time. Maximum available protection from liquids is level 8, which allows to keep your phone submerged in a more than 1m depth for a certain period of time. Usually manufacturers state the actuals very clearly, but I would not worry about that too much as I would not risk going for a relaxing swim with a smartphone in my pocket anyway. Of course, maximum protection is required for construction works so IP67/IP68 is what you want in your heavy-duty smartphone. Military Standard (or MIL-STD) informally also called MilSpecs is another defense standardization. Primarily used in Military industry MIL-STD-810G also performs various shock and fall protection tests as well as evaluating interface and design criteria standards – environmental effects on equipment in general. Having your device passed these tests makes the phone for construction virtually invincible. Having a quality screen when a smartphone is being used in construction site environment is essential. Even though it will probably already be durable enough due to having passed one of the tests above you might still want to get Corning Gorilla glass. This is maximum protection a glass can have and it has been proven to provide the best resistance qualities for smartphone displays. Your screen also must be very bright and vivid when used both inside and outside. As construction works require working outside in sun and dust, your device needs to have good display for you to be able to see details properly. Contrast ratio is the specification which tells you just that. Sunlight ratio of 2.3 and above will do the job, however the higher the rating means better chances of not having issues. Also consider reflections – some screens reflect more light, some less. LCD and SuperLCD screens are the safe option here. 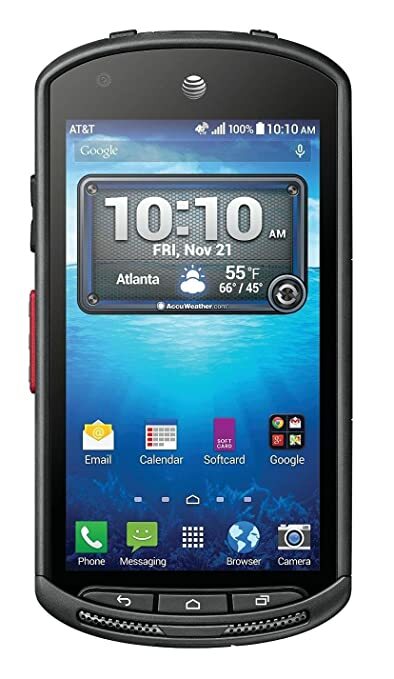 A very common flaw of rugged smartphones is weak technical specifications. Phones suitable for construction environment are very tough but users often find them hardly usable after a short period of time. It is either because the newer apps require more RAM memory than phone has available, or current processor cannot handle newly updater software or the software update is not available at all and you cannot update your apps. As a result rugged smartphone for construction becomes a Nokia 3310 – solid, indestructible brick only good for making calls and sending texts (we still love you 3310). In order to avoid this situation take precautions. Make sure your phone has at least 2GB of ram and a decent processor – such as Snapdragon 800’s series. Also if your prospective smartphone runs Android, make sure that it is no earlier than 5.0 Lollipop. Having earlier version is ok as long as it is upgradable, as some devices are not (example CAT B15 was capped at version 4.1 Jelly Bean – had to learn it the hard way). Even though camera might not seem a crucial part it proved to be extremely needed in a good smartphone for construction. It’s way easier to take a picture of measures, schemes and instructions while in the construction site – much simpler than carrying a pen and paper with you. Try it once and you will never want to go back to using paper and pen again. Saves time and effort. Look at actual pictures made with the phones you are looking at to get the best indicator of picture quality. Even though you might not find many smartphones designed for construction use on comprehensive guides such as GSM Arena does, but there will definitely be example pictures on the some other website. Give special attention to low light photos – most smartphone cameras perform well in good light, but low light pictures allow you to distinguish real champions. Very popular phone mostly due to its indestructibility and low price. Unfortunately the list of advantages kind of ends here. It has is capped at Android 4 and in general its technical abilities are far from outstanding. Although it is a perfect phone if you only need basic functions and having confidence that the brick in your pocket is unbreakable and can hammer nails if needed. Samsung has extended their S6 family with this modification of Active edition. It might not be as beautiful as S6 sibling, but it definitely is a tougher brother. IP68 and MIL-STD certified and can take hits, gunfire vibrations and even explosive atmosphere. It is just as powerful as S6 counterpart hiding a muscular Octa-core 2.1Ghz processor, 32GB internal memory, 3GB of Random Access Memory (RAM) and 16MP quality camera under the hood. Another remarkable feature of this device making it suitable for construction workers is its bright 5.1” SuperAMOLED display. It produces very bright and sharp images even in direct sunlight which makes it a very desirable option. Moreover you get it protected with Gorilla Glass 4 which is the latest technology until Corning will make their Glass 5 available in later rugged smartphones. Definitely a great bargain for the price. This Caterpillar phone is not just a famous heavy duty equipment brand. It does indeed produce really tough smartphones. It looks and feels nothing like the B15 we used to have and I would seriously consider S60 as a next construction phone for my dad. 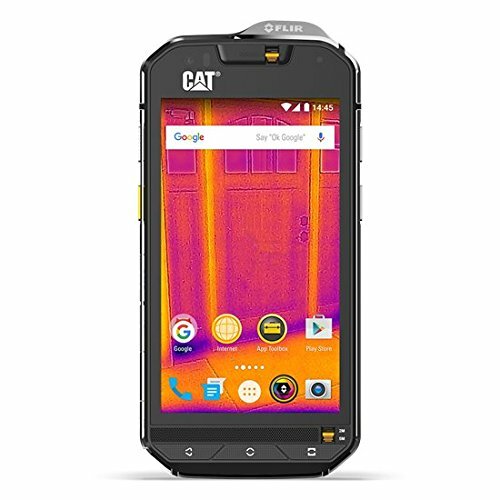 There definitely is that iconic finish of CAT heavy duty equipment and by only looking at it you know this phone can take some serious hits. 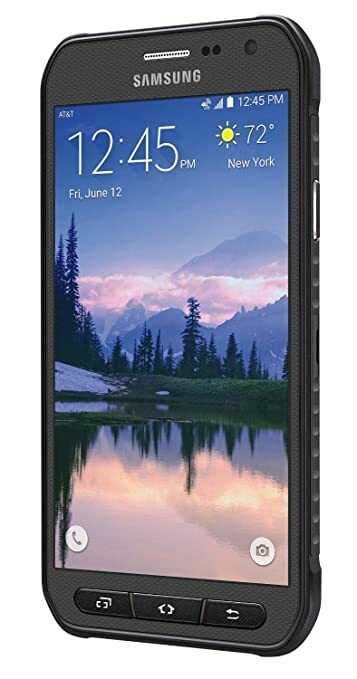 MIL-STD 810G certification certainly proves this phone worthy carrying this famous label. Resistant to drop from up to 1.8m on bare concrete it can as well survive being submerged 5 metres under water for more than an hour. Still have doubts? During one of the tests a full size jeep ran over this little CAT and it took that as if it was his morning breakfast. It also has more than enough horsepower to provide good user experience: 3GB RAM, 3,800mAh battery, 16MP back and 5MP front camera, very high quality speakers and comes preinstalled with Android 6.0 Marshmallow. + a heat sensor camera, that is extremely fun to play around with and could prove useful on the construction site. Of course you have an option to buy a phone and cover it with the protective case. It does not provide as good protection and looks slightly worse, but for say Apple lovers it is the sole option to have a tough smartphone for use in a construction related job. Awesome design and protection. Primarily designed for iPhones and few Samsung models. IP68 rating tells the whole story. Full protection against dust and can be submerged for extended periods of time. Definitely a no brainer. Is resistant to water damage, but can take heavy hits and shocks. Mid-range price and is a good option to make your smart device more suitable for construction site.